We depart from our normal historiographical flow to let you know of two things related to the Fredericksburg 150th. 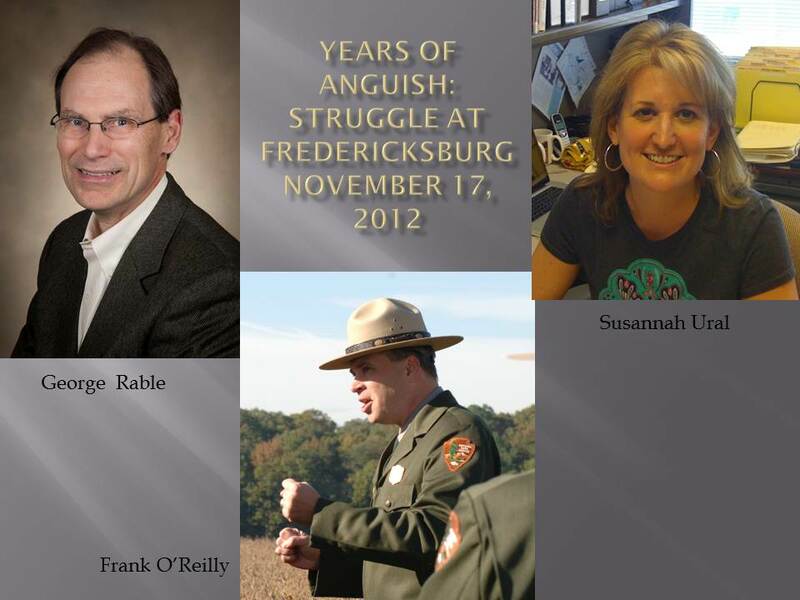 On November 17, from 1-5 at the Fredericksburg Baptist Church at 1019 Princess Anne Street, Years of Anguish: Struggle at Fredericksburg will feature three of the premier speakers on Fredericksburg anywhere. For one of the few times in modern history, George Rable and Frank O’Reilly–the two greatest authorities on the Battle of Fredericksburg, each the author of a distinctive book–will share the stage. And, Susannah Ural will present her vivid work on the role of the Irish Brigade at Fredericksburg. The event is free, and we hope you will join us. Also, the full schedule for the Fredericksburg 150th is now available. You can download the program by clicking here or on the cover, below. The pdf is about 5mb. Follow updates to the 150th schedule on the park’s Facebook page. Two “Years of Anguish” programs featuring (on November 12, 2011 at Dodd Auditorium, UMW) Gary Gallagher and Peter Carmichael on Virginia Goes to War and (on April 21, 2012) David Blight and Thavolia Glymph on Emancipation and Freedom. These programs will follow the formula we established last November, looking at the National, Regional, and Local perspectives. The Fisk Jubilee Singers will be here on April 14, 2012, to kick off “To Freedom,” the commemoration of the crossing of 10,000 slaves to freedom in 1862. The next event is on May 7, 2011–“Letters and Diaries, Songs and Passages”, a day-long series of tours, events and music, culminating with a musical performance with meaning by the Chamber Chorale of Fredericksburg at the Baptist Church. This program will be akin to one of our popular “Voices from the Storm” programs, with narration and quotes going along with the music. It promises to be powerful. Find out about it (and buy tickets) here. I will also be doing walking tours that day of the homes of Fredericksburg diarists and memoirists. They leave Market Square at 10 and 2. In June we will be doing our first milestone event, marking Virginia’s mobilization for war. “Into the Abyss” will be based at Chatham the weekend of June 10-12. You can find out more on the park’s webpage here (scroll down to June 10). 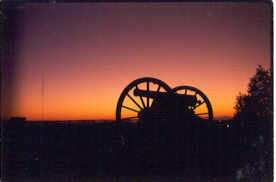 The Fredericksburg Area Museum, National Park Service, and the University of Mary Washington are the primary funding sources for these events. Click over to Federicksburg Remembered for a summary from Noel of this weekend’s anniversary activities, as well as a first look at a never-published sketch.